On the 1st of April every year, otherwise reputable media all round the world carry fabricated reports on every topic under the sun. Physics is no exception, and April Fools have appeared everywhere from the CERN website to Scientific American—and even in the prestigious peer-reviewed journal Nature. 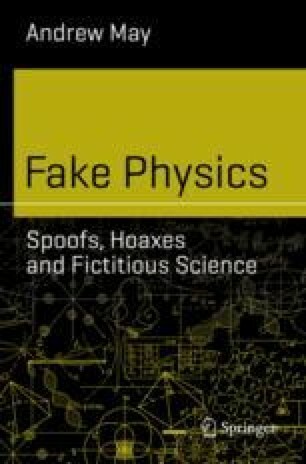 In recent years, however, physics-related April Fools have found their real home in the web-based arXiv preprint repository. The dozens of spoofs there can be read on any day of the year—which creates a problem for certain killjoys, who want to outlaw scientific April Fools because they’re too easily mistaken for serious research.